You are at:Home»Blog»Brewed in L.A.
A beer at Artisanal Brewers Collective’s 6th and La Brea. A vibrant food scene and creative culture that values artisanal production have fueled a burgeoning community of craft-beer brewers in L.A. In the mid-19th century, a hundred wineries were located in Los Angeles, and what is today the city’s downtown was blanketed in vines. 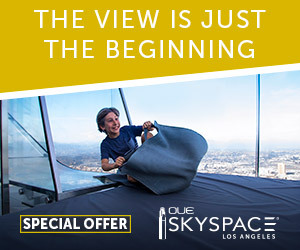 Of course, they have long been paved over, but with world-class viticultural regions a short drive away, L.A. is usually assumed to be a city obsessed with wine. Beer, however, has its place here, and as craft brewing has exploded across the country, L.A. has emerged as a dynamic center for artisanal beer production. Craft brewing—which is such a dominant trend in the beer industry that even MillerCoors and Budweiser are acquiring microbrewers—fosters diversity, innovation and a commitment to high-quality ingredients in brewmasters as passionate as Napa Valley winemakers. No longer satisfied with their fathers’ Pabst Blue Ribbon, trend-conscious L.A. imbibers are embracing this movement and celebrating the arrival of new craft breweries. In fact, when it comes to beer stats, the state of California ranks first in the nation with more than 900 such breweries, and its numbers are swelling in Greater L.A. Although Seattle, Denver and Portland, Oregon, receive considerable attention for their craft-beer scenes, L.A. is slowly but surely emerging as an important player in the craft-beer industry. Leading beer authority Stephen Beaumont—his 13 books include The World Atlas of Beer and Premium Beer Drinker’s Guide—reports that L.A. brewers have historically been disadvantaged by geography. “Much of L.A.’s problem in getting attention for its breweries are its neighbors to both the north and south,” says Beaumont, citing prominent beer cultures in the Bay Area and San Diego. He notes that increasingly elaborate tasting rooms and brewpubs, definitely a trend developing in L.A., are becoming a major part of the industry, with many brewers selling more than 75 percent of their product on-site. Downtown L.A.’s Arts District, with its industrial heritage and suddenly trendy status, is a natural location for distilleries (e.g., Lost Spirits, Greenbar) and craft breweries. One of the city’s best-known beer makers is Angel City Brewery, founded in 1997 and moving into the A.D. in 2010. The brewery currently produces an IPA (India Pale Ale), Double IPA, Pilsner and SaazBerry beer flavored with raspberry, blueberry and elderberry. In all, Angel City usually offers 19 different varieties on tap at a spacious brewpub lined with art from the nonprofit Art Share L.A.
“We love traditional beers—the classics that people recognize—but we also try to come up with cool ingredients to add,” says head brewer Layton Cutler. “It’s fun for us to be innovative and step out of our comfort zone,” he adds. Results include limited releases like Avocado Ale and sprucetip-infused Faux Snow Pale Ale. Events including Taco & Trivia Tuesdays, yoga classes and even floral-arranging workshops fully integrate Angel City with the community. A few blocks away is Arts District Brewing Company operated by 213 Hospitality, whose portfolio of hip DTLA nightspots includes Seven Grand, the Varnish and Caña Rum Bar. Devon Randall has served as head brewer at Arts District Brewing since its founding in 2015, ramping up production to an impressive 2,000 barrels annually, most of it consumed on-site. A native of L.A. who left for San Diego to learn her trade, Randall is delighted to see more craft-brewing opportunities in her hometown now. “It’s harder to start a business in L.A., so the people who open breweries here tend to be better prepared,” she observes, noting a sense of community among those brewers who overcome the barriers to entry. 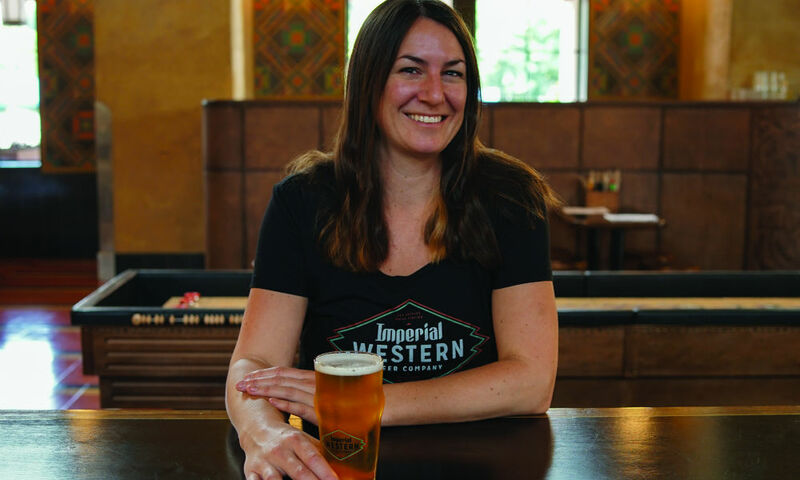 Randall also serves as brewmaster at Imperial Western Beer Company in downtown’s historic Union Station, one of 213 Hospitality’s most ambitious projects to date. Imperial Western occupies a space that once housed the Fred Harvey Restaurant at Union Station and showcases the seafood-centric cuisine of acclaimed chef David Lentz (the Hungry Cat in Hollywood). “Pairing a beer with uni presented an odd challenge, but I discovered a Vienna lager had just the right sweetness and bitterness,” reports Randall. She suggests an IPA as a natural complement to oysters, but adds that gose, a German-style beer whose tasting notes sometimes include the adjectives “sour” and “salty,” has just the right acidity for those bivalves. The names of Randall’s handcrafted beers—Union Lager, Harvey (a Kristalweizen) and Pullman (a dark stout)—pay tribute to the space’s truly magnificent art deco setting. Devon Randall, head brewer at Arts District Brewing Company and brewmaster at Imperial Western Beer Company. Artisanal Brewers Collective has been opening brewpubs throughout Southern California at breakneck speed, each venue providing a pub experience and on-site-brewed beers that suit the personalities of their respective neighborhoods. ABC’s 6th and La Brea has a modern, minimalist vibe; West L.A.’s The Stalking Horse feels like a classic British pub; and the Valley’s Bluebird Brasserie is evocative of a Belgian monastery. 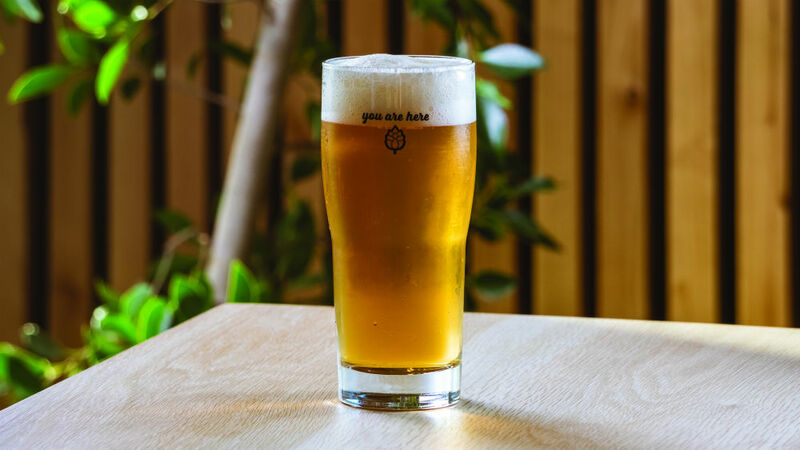 Co-founder Tony Yanow insists these places are designed for drinking beer, not tasting beer, so exotic creations like black-truffle- and yuzu-infused brews are not typically poured. Rather, his brewmasters concentrate on exceptional versions of traditional styles (e.g., IPAs, lagers) that most beer drinkers are familiar with. Food is also an important component of ABC’s formula. At Westwood Village’s Broxton, which is quickly becoming one of the city’s most popular brewpubs, an ambitious but approachable menu includes Buffalo-spiced cauliflower, burgers, ribs and even blackened tofu for vegan beer enthusiasts. At 6th and La Brea, you can wash down a 12-ounce USDA prime rib-eye or pan-roasted salmon with a Mid-City Stout or Miracle Mile IPA. ABC was born after Yanow and his partner sold Golden Road Brewing to AB InBev—the Belgian conglomerate owns Budweiser and 400 other brands—and he invested his earnings into creating inviting pubs offering handcrafted beers. “The first time someone drinks a truly fresh beer, and a good one at that, it’s a really sensual experience,” enthuses the passionate entrepreneur. “We serve some of the freshest beer to ever cross a bar, literally just 30 feet from where it was brewed,” says Yanow of the essence of his business model. Torrance may be a bit off the beaten track, but in addition to offering exceptional Japanese restaurants, the laid-back community has established itself as a major hub for craft brewing. Among its dozen breweries—the highest concentration in the South Bay—are Smog City Brewing Company (which has expanded to Long Beach) and Absolution Brewing Company. The names and logos of Red Car Brewery & Restaurant’s English-style beers are inspired by the former Pacific Electric Railway “red cars” that connected the Torrance community to all of Southern California in the first half of the 20th century. At Pasadena’s Craftsman Brewing, founder/brewmaster Mark Jilg brews three different beers year-round, plus about a dozen seasonal varieties and some barrel-aged beers, all delivered in his signature 1946 Studebaker truck. Craftsman has no on-site brewpub, but chef Andre Guerrero’s Maximiliano restaurant in Highland Park has become an unofficial tasting room, offering about seven Craftsman products on tap, including its Heavenly Hefeweizen and 1903 Lager.